Remember that last sentence but in this age when the phrase White Privilege suddenly seems to be coming to every other K-12 classroom and college campus, let’s learn Nieto’s term when she is not complaining about current “economic, political, and social power.” Dysconscious racism is “a limited and distorted view of racism based on the tacit acceptance of dominant White norms and privileges that fails to take into account basic structural inequities in society.” So with Multiculti ed, only a wholesale transformation will suffice as the remedy and that remedy is now to be legally required as a civil and human right. Since Nieto’s vision of good, exemplary teaching for all students is to be our norm in all schools, we need to appreciate its tenets in addition to a mandate of active involvement of “students in real-life situations [that] allows them to reflect on their own lives.” Are you among the privileged or the prey? would be one way to shorthand the desired mindset. * students are involved in issues they perceive as vital concerns. * students are involved with explanations of differences in race, culture, religion, ethnicity, and gender. * students are involved in planning their education. * students are involved in applying ideals such as fairness, equity, or justice to their world. * students are actively involved in heterogeneous groups [no tracking is fundamental to QME]. * students are asked to question commonsense or widely accepted assumptions [all that pooh-poohing of facts now comes in handy]. Problem solvers and critical thinkers just does not sound like such a great goal anymore does it, after that breakdown? Now I joke about tiptoeing through the footnotes, but honestly that’s where the gold pebbles and jewel admissions are. Nieto in a footnote mentions a January 1990 publication from the MIT Quality Education for Minorities Project called “Education That Works: An Action Plan for the Education of Minorities.” The QEM Project turns out to have begun in 1987 with Carnegie funding. Now remember Carnegie is the chief sponsor of Competency-based education now, including sponsoring the 2011 summit with federal officials. 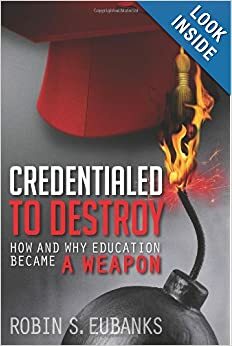 Marc Tucker of the National Commission on Education and the Economy (Carnegie-funding) was also involved in the QEM Project, which puts a new spin on all his work in the 90s on School to Work and new types of authentic assessments called the New Standards Project. Texans need to be aware that MIT was one partner in QEM, but the other was the Marshall Center at the University of Texas. As I have warned, Texas did not actually need to be part of the Common Core to have its K-12 system in the same place as other states, if not ahead of the curve. QEM cared about the following groups by name: (1) Alaska Natives; (2) American Indians; (3) Black Americans; (4) Mexican Americans; and (5) Puerto Ricans. Two vital points about that list. First, Competency education and the Reinventing Schools Consortium involved in the February 2014 Dallas convening is being hyped as coming from work with natives in Chugach, Alaska. Now I know where the funding for all that expensive air travel came from. Secondly, Senator Ted Kennedy was also involved with the Action Council on Minority Education that issued this January 1990 report. That matters because Kennedy had always had an interest in amnesty for illegals. Open that door and then use the presence to force a remake of K-12 education. Make that the “restructuring” of American education. Remember this report is after the 1989 Williamsburg education summit President George HW Bush called of the nation’s governors. This report came out before the official announcement of the proposed national goals. The idea was that all the restructuring and K-12 plans announced in the 1990 QEM report would piggy-back quietly on the national goals to be proposed later that year. We have the goals for public dissemination and then we have the QEM vision surreptitiously attached. My question is did anyone unconnected to DC and the K-12 education vision of that time (which would mean that now Senator Lamar Alexander had to have known) know we had this QEM Project vision attached to all the federal pushes in the 90s and what is coming in under the banner of the Common Core now? I have never seen a reference to it before Nieto cited it, but it certainly makes everything make so much more sense. I would seriously love to hear from readers who lived through those earlier reforms on whether this attached Stealth QEM Agenda was ever discussed or even acknowledged. Remind anyone else of federal legislation nicknamed as No Child Left Behind that was also based on the vision of education in Texas? How about the sentiment advanced by the UN recently in its Dignity for All by 2030 vision to guide post-2015 restructurings of education, economies, and societies generally? We have a great deal of commonality here that appears to have been lurking in the shadows. Ready to bind us without any overt discussion.